Driftmaster Rod Holders are available in Driftmaster Pro Series and Driftmaster Li'l Pro Series. 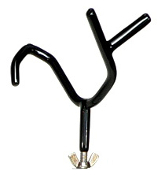 Driftmaster Pro rod holders have a ½” stem and are 1 ¾” wide for larger rod handles and lines over 25 pounds. Driftmaster Li’l Pro rod holders have a 3/8” stem and are 1 3/8” wide for small to medium rod handles and lines up to 25 pounds. Most Driftmaster Rod Holders come in left and right hand models. All Driftmaster rod holder models can be ordered with longer stems of 8 inches for Li’l Pro Series and 10 inches for Pro Series. 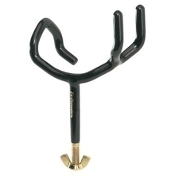 This is useful for clearing railings or hatch lids. All Driftmaster rod holders can also be ordered in stainless steel for saltwater use. Bases are not included with any of these rod holders. PROUDLY MADE IN THE USA. Copyright © 2013-2019 Extreme Fishing Concepts. All rights reserved.